Florida Real Estate: Gulf Stream Waterfront Estate On The Market! Gulf Stream Waterfront Estate On The Market! One of Gulf Stream’s most desirable address's with a southern point lot view from nearly every room, this Hampton style waterfront estate designed by Randall Stofft, is situated on a rare one acre plus lot, encompassing over 470’ of frontage and embraces the tenants of coastal living at it’s best. With a warm feeling of belonging and a gracious layout with panoramic water views the estate is comfortably spacious with six suite bedrooms, seven full baths, first floor master, epicurean kitchen with informal dining surrounded by water, sun filled family room, State of the Art Home theater, formal dining room, dual offices, exercise room, massage room, loft area, guest house, five star resort pool, entertaining loggia with outdoor kitchen, three bay garage and a yachtsman’s dock, all seamlessly integrated into over twelve thousand and five hundred square feet of perfectly appointed living space. This Jewel in the Crown estate is just moments from the pristine sandy beaches, upscale shopping and restaurants, and many exciting diversions. Close to international airports for easy access. Your favorite part of going out will be coming home to your sumptuous estate. Don't miss this rare opportunity!! Waterfront Tequesta Home For Sale! Residence In Old Port Cove Is On The Market! 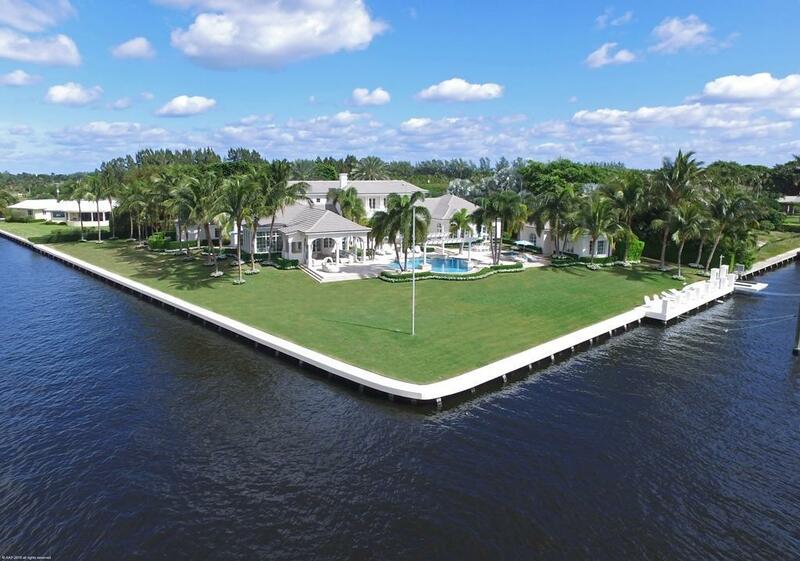 Riverfront Estate In Tequesta For Sale! Highland Beach Oceanfront Luxury Estate For Sale! Ocean Ridge Estate On The Market! Coastal Home For Sale In Juno Beach!